1. 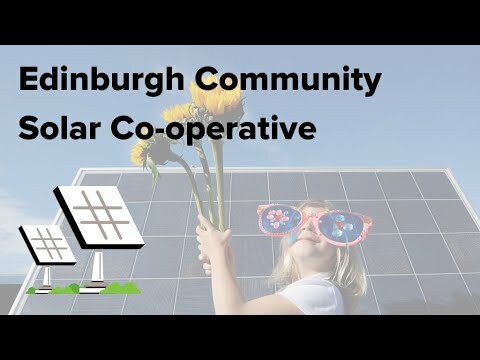 The Edinburgh Community Solar Co-operative will be the largest community-owned urban renewable energy project in the UK. The project aims to raise funds through a share offer, which enables local people to invest in the scheme and so take an active part in building a low-carbon future. Buildings such as schools, leisure and community centres have been chosen to host the solar panels and will benefit from reduced energy bills. Any surplus energy will be sold to the National Grid and some of the profits made by the project will be reinvested locally through a Community Benefit Fund. It is estimated that the energy generated by the co-op will reduce the capital’s carbon emissions by 855 tonnes a year. For more details, see www.edinburghsolar.coop. Please note that because of changes to UK tax law, the deadline to take up the share offer is 28 November. • Inform and engage the public through workshops, street stalls, stunts and more.